Upgrade from brushes to extractors? Is there any possible way to upgrade or mod the 770 series to use the rubber extractors? If not, does anyone have any tips or advice? I love my roomba, but cleaning long hair out of those brushes is such a nightmare. Takes me 10 minutes to clean the roomba after 1-2 cleans, I might as well just use my real vacuum. Re: Upgrade from brushes to extractors? 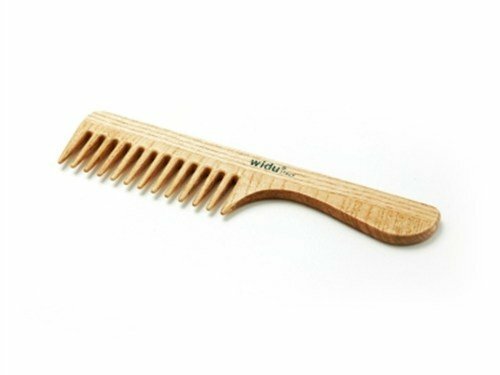 Cleaning long hair wrapped around the bristle brush is easy using a comb with handle and big fat teeth. 30 seconds to 1 minutes top. That looks pretty cool. Do you have one? How well does it work? NoJimForHome wrote: That looks pretty cool. Do you have one? How well does it work? Works for us for granddaughter's long hair. Not 100%, but much better than without it. Nice. I'll put it on my list for after I get mine fixed. The Ebay listing I sent was about as cheap as I've found. OK, picked one up. I'll report back on its performance. I've always looked at all the hair caught was a good thing. I imagine the brush does pick up more hair than the rollers. It is a nuisance, but at least it is not on the floors anymore. Wow, that looks actually like a decent option. Can’t hurt to try, thank you!! As far as cleaning... we have a lot of hair. To the point where after 2-3 runs you can’t see the brush bristles anymore. I use the original cleaning tools, which are great, but it’s still a pain. And especially around the very ends, the tools can’t get in there, and i need to use scissors to try to get the hair out. Then it always makes a mess doing all this and I need to vacuum up just from cleaning! We had a lot of long "people" hair at first, but it diminished over time to be only an annoyance, not a problem. It took awhile for the Roomba to "catch up", as it finally randomly got into every nook and cranny. Now, our two short hair dogs continue to fill the bin every three days. (I didn't have to clean the brush this time). Oh man, to fill the bin "every three days." Sounds magical. I have a German Shepherd. Roomba *packs* the bin every time it runs. And every 2-3 runs I have to pull the brushes for cleaning. Looking forward to the comb-door though, hopefully it'll make brush cleaning a weekly thing. Ha! The $40 563 I also just bought on eBay already has the toothy-door. Hm. Just kidding, it doesn't have a toothy-door, it has the old-style vacuum assembly with built-in teeth. Which was "sucking like crap," so I disassembled it and there was all kinds of crud in the impeller. I gave it a good wash; hopefully it'll run better tomorrow. ....until the 960 came along. My best advice to you is save yourself a massive headache and buy an 8XX or 9XX series robot....but then again, modding old Roombas is a lot of fun. We use multiple 595's and a 695 (all have the gray CHM and Aerovac bins) on concrete and low pile rugs. We don't have long hair problems, as our two dogs are short haired, but I wanted to know the comparison. I replace with clean filters every time I empty the bins and only need to clean the brush ends about once per month. Extractors can be cut by shards of glass and ceramic (created by the Roomba when it breaks things), and the extractors do not compete well against brushes in a tug, so what actually happens to long hair is it wraps behind the side brush without being sucked into the vacuum - we need to cut it off with scissors. I am not sure they are an upgrade, but I also do not think I would swap extractors for brushes, as extractors seem easier to clean.